I have spent hours, days and weeks fighting anti-Israel propaganda along with exposing pro Palestine lies against Israel. 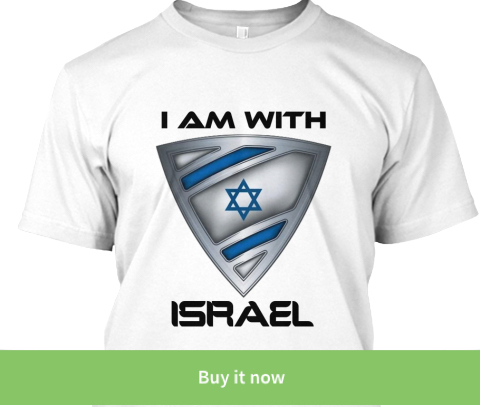 I am telling the rest of you who are here to fight for Israel, do not be shy or fearful - those who hate Israel have only bigotry and historical fabrications to back up their claims. We have a long history and truth to back up Israel. The entire Israeli "occupation" claim of an Arab Palestine country, State or national land is a complete farce and NEVER have I met someone who can back such a claim up with facts. Israel has proven time and time again with the concessions it is willing to make to the Arabs that we want peace. Israel's Arab neighbors outnumber Israel by 100 to 1. Peace is in Israel's best interest but the question is, is peace possible? What is the solution to the Israeli-Arab conflict? Let's first discuss the problem and then maybe I can suggest a solution. Before Discussing A Solution, One Must Understand The Problem! People love discussing possible solutions or "Peace plans", but no one is defining the actual problem. Imagine if a patient enters a hospital and as soon as the doctors see the patient is in pain, they decide to amputate a limb or perform open heart surgery before understanding the symptoms and the source of the problem. Their license would be revoked and they would never be allowed to practice medicine again as they've endangered the lives of their patients. Why is it any different when discussing the Israeli-Arab conflict? Everyone knows people are dying and everyone knows people are suffering. Wouldn't it be the smart thing to do to ask "why?" before attempting a solution? The modern State of Israel was declared in 1948 on the Land of Israel which belonged to the Jews long before Islam or Christianity existed and the Christian Bible as well as the Quran do not deny that fact. The Jews were murdered and chased out by the Romans who renamed the area Palestine in an attempt to strip any connection of the Land of Israel to the People of Israel. It is almost funny that an Arab population has adopted the Roman name in order to claim rights over Israel or any parts of it. Right before the modern State of Israel was declared, the Jews agreed to split the area with the Arabs and although we made painful concessions including Jerusalem, we believed living in peace is better than living in war. Unfortunately for the Jews, the Arabs and the world, the Arab league refused the 1947 Partition plan and six Arab armies attacked the young Jewish State with the clear goal of annihilating it. As you know, Israel won but being the victor does mean we were the attacker. The allies completely destroyed Berlin in WW2, they certainly were not the side that was responsible for the war! The Arabs attacked, the Arabs lost, EVERY TIME! 1948 Independence War was a bunch of armistice lines that ran across Israel, separating it from its belligerent enemies. As you can clearly see from the map on the left, Gaza, the entire West Bank, the Golan Heights and Jerusalem were all in Arab control. The lines that separated Israel from Arab countries became to be known as the "Green Line". Between 1948-1967 the Jordanians who were governing the West Bank and Jerusalem, the Egyptians who were controlling Gaza and the Syrians who were in control of the Golan Heights built refugee camps and stuffed Arabs into these camps. Israel did not build a single refugee camp, EVER! Why did Arab States build refugee camps you ask?Because they did not want to give Arab Nomads citizenship! Because they figured, if they can create a refugee problem, they would have an excuse to take it out on Israel. Understand, all the land that Arabs are demanding and using as a justification to attack Israel today were already in their control between 1948-1967! This conflict is NOT about land! So, What Should We Do? Is There A Solution? 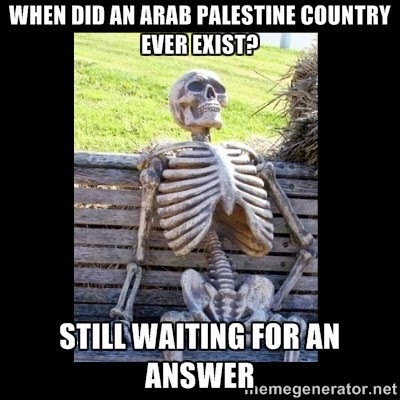 The problem in Israel is, we have a population of Arabs, who claim that Israel has no right to exist and they are fabricating history in order to justify the eradication of Israel and the creation of a first time Arab State called Palestine. The truth is, the conflict is with radical Muslims in the area and not Arabs. You don't hear of Christian, Druze or Bedouin Arabs carrying out terror attacks. When it comes to those who are carrying out or backing terror (mostly Islamic based terror), there is no peaceful solution. Just like the allies were expected to fight the Nazis, these terrorists, who have no boundaries to their barbaric acts of terror and murder, should be fought against and completely destroyed. WOULD YOU MAKE PEACE OR GIVE THEM WEAPONS? 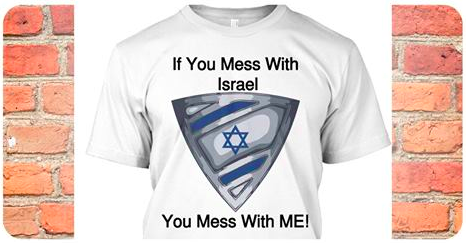 Any Arab who seeks to live peacefully should assist Israel's attempt to fight the terrorists. For those of you who claim the majority of Muslims in the area are peaceful, this is the perfect opportunity for them to prove themselves. 3. Face the IDF in an all out terror cleansing operation. Any Muslim who opposes Islamic terror groups will receive full Israeli protection until we eradicate ALL terror cells in the area. This should be a simple operation IF the majority of Muslims are indeed looking for peace. Israel has taken in millions of Jewish refugees from around the world, including over 800,000 that were chased out of Islamic and Arab countries. It is time the Arabs start to take care of their own brothers. The areas that were part of British Palestine were governed by Jordan, Syria and Egypt and it was them who built the refugee camps and it is their moral responsibility to give these Arabs citizenship. Jews will not demand Medinah back from Muslims and we will even give up on the right of return of millions of Jews back to Islamic regimes and we will not ask for a single cent of compensation. In return, the Arabs can do the same for Arabs that actually originated from their countries! These Arabs were never Israeli citizens and Israel did not create the refugee problem and should not bare the responsibility of the actions taken by Arabs and Arab countries. The Ger Toshav status will give non-Israeli Arabs full civil rights. They will be allowed to travel freely, work in Israel and as long as they do not connect themselves in any way with Islamic terror ideology, they will be able to live a happy and prosperous life. When it comes to human rights, there is nothing to talk about. These people will be under the protection of the State of Israel and anyone who tries to hurt them in any way will be prosecuted. Non-Israeli Arab villages will govern themselves and be in charge of everything from education to infrastructure. I do expect their Arab brothers from around the Middle East to help fund their new peaceful life, but if they refuse, Israel will join forces with them and help them develop a new life. Of course if Israel is in charge of funding for these non-Israeli villages, taxes will need to be collected. ***All security matters will be left completely in Israel's control. 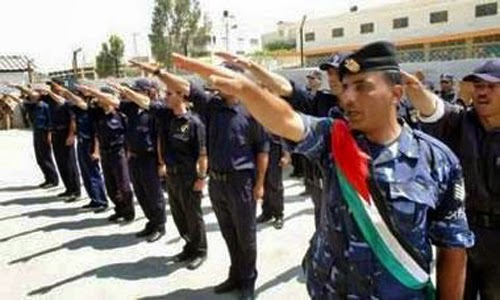 The only armed forces in Arab villages will be Israeli security forces which can include Arabs as well as Jews. Any Arab who would like to leave Israel will receive legal assistance in obtaining the necessary papers needed. Any Arab who wants to leave but cannot afford to do so, will receive a special stipend from Israel to help them immigrate to the country of their choice. 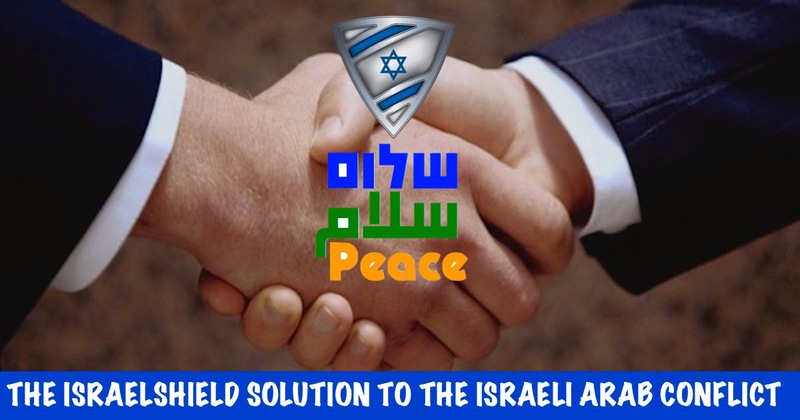 Any Arab, Muslim or Christian who wants peace and nothing more, will welcome this solution with open arms. Anyone who is still stuck on fighting for an imaginary Arab State called Palestine in place of Israel or any part of it, is not a peace partner. For those of you who think this is not realistic, Yasser Arafat received a Nobel Peace Prize! Realism is what you make it and not what you think it should be. I would love to hear your thoughts and opinions on the solution I suggested above. Leave your comments below or on the IsraelShield Facebook & Twitter pages. I need your help and support to keep up the fight! 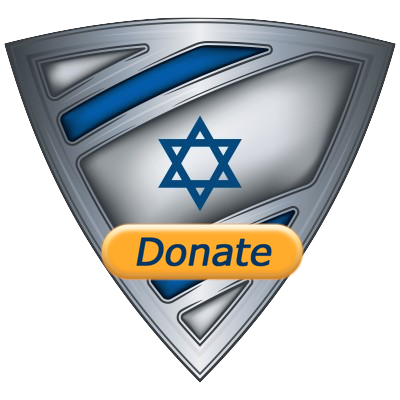 Please take a second and contribute whatever you can so I can get the IsraelShield site up and keep Israel's shield strong. WOULD YOU WEAR THE SHIELD? CLICK Below To Order Yours Today!